We all know: You can buy fashion or you can make fashion! Accessories are a fun way to personalize an outfit with your own unique flair. Necklace is an important piece of jewelry, because it’s easy to add to any outfit, and can often be the one thing that takes your outfit from standard to striking. 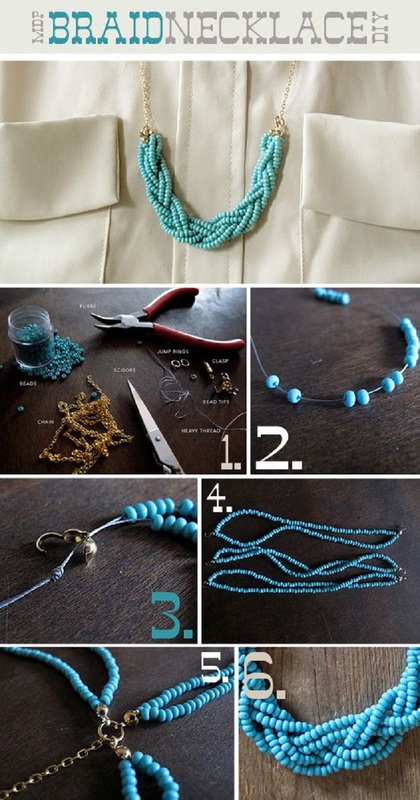 Making a necklace by yourself is a great alternative that will surely provide you with something crafty and out-of-the-ordinary. These DIY necklace ideas allow you to personalize your own style by wearing unique necklace that will no one else have!